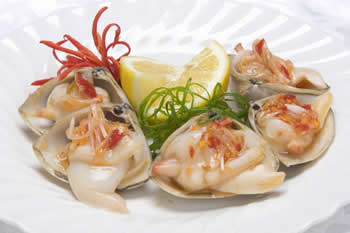 Cloudy Bay Clams known for their premium surf clams is New Zealand’s only surf clam harvesting business. All clams are wild caught from the pristine waters of the South Island. Years of development in equipment have allowed for sustainable and environmentally friendly harvesting. Mild seasoning enhances the subtle flavours and textures of this delicacy. Au naturel, lightly steamed with a dash of lemon juice, or drizzled with melted butter – all methods bring out the best in these tasty molluscs!